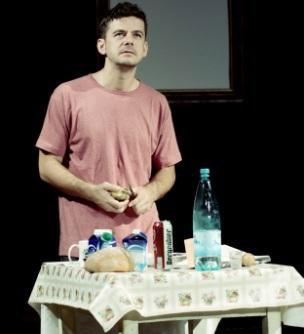 The funny, intelligent and vibrantly compassionate performance of “Once upon a Second Time”, by Mimi Brănescu, starring Vlad Zamfirescu and Mirela Oprişor, will open the theatre series “Tales Told in Romanian” to the British public, after the huge acclaim of the previous shows. “Once upon a Second Time” is written by Mimi Brănescu, one of the grandees of the new Romanian cinema. Successful actor, playwright and script writer, Mimi Brănescu is well known to the international public through his roles in multi-awarded films “The Death of Mr. Lazarescu”, “The Paper Will Be Blue”, “Medal of Honour”, “Tuesday, After Christmas” and “Child's Pose”. 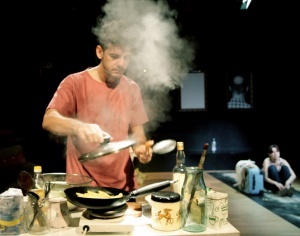 His theatre debut as playwright, in 2003 with “Gunoierul” (“Garbageman”) was very well received and featured in the Act Theatre programme for a few years. Told from His and Her perspectives, “Once upon a Second Time” takes the idea of a second chance in love and captures the ups and downs of life in a hilarious, poignant and honest manner. A play which speaks about parents and children and the complicated relationships between generations. The show is part of the series “Tales Told in Romanian”, which enables Romanian and British audiences to encounter the best of the Romanian theatre, actors and performances, inspired by classical and contemporary literature and drama, both native and universal. The project is an initiative of Claudia Cîrlig and is developed in partnership with ICR London. In Romanian with English surtitles! Love Romanian Theatre? 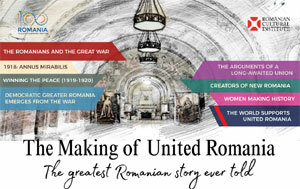 Like Tales Told in Romanian!